Mixbook Wedding Stationery sent a sample from their hundreds of gorgeous, one-of-a-kind wedding invitations and this greenery wedding invitation suite is my absolute favorite. I mean, talk about a stunning simple wedding invitation that will make any guest swoon as soon as they open it up. Mixbook offers pre-designed templates and the ability to design your own wedding invitations, save the dates and wedding cards! Whether you're looking for a gorgeous, lace bridal undergarment for your wedding day or something to bring with you on the honeymoon, this affordable lace bridal bodysuit is totally stunning (and totally comfy too!). The soft and breathable stretch provides firm control as it shapes and smooths your tummy, waist and derriere and the softly-lined underwire cups provide shapely support. Oh yeah, and did I mention how gorgeous it is?? See for yourself! Shop Bali Lace Shapewear by clicking the link below! The RingHero keeps your rings safe and protects them from sweat, damage and theft. Wearing your rings in an environment where they could come in contact with hard surfaces -- weight lifting, yoga, running, biking, golf, boxing, gardening, house work, doing the dishes, swimming, showering -- could bend your ring, loosening the settings and eventually causing your precious stones to fall out. So this super soft, wearable ring storage bracelet is the perfect accessory for when you're working out, swimming, traveling or for every day wear. Since we will be enjoying a lot of beach time this summer, this is the perfect accessory for me! This Zoya spring nail polish color trio provieds the perfect colors for this spring and summer. Oh yeah, and great color choices for the bridal shower, bachelorette party and just every day wear showing off that new bling you've got! Zoya is a Big10 free breathable formula free of Formaldehyde, Formaldehyde Resin, Dibutl, Toluene, Camphor, TPHP, Parabens, Xylene, Ethyl, Tosylamide, Lead. Zoya’s award winning color is the healthier choice of fashion and one of the best choices of pregnant and health conscious women worldwide. And I'm thinking that Abby color is my new Spring fave! These Forever One Round Near-Colorless Moissanite Three Prong Martini Solitaire Stud Earrings are perfection. They perfect bridal earrings for any look...and every day wear too! In fact, I'm wearing my Charles & Colvard moissanite studs right now! If I were a bride, I sure would love to accept these as a wedding day gift from my groom (hint hint). These brilliant earrings are set in 14K white gold, boasting our Forever One GHI grade gemstones that have the diamond equivalent weight of 1.00ctw. Moissanite is one of the rarest minerals found in nature, and we've made it our mission to share its beauty and brilliance with the world. Our experts have recreated moissanite in a lab to deliver you an artfully crafted, socially responsible and eternally brilliant gemstone. 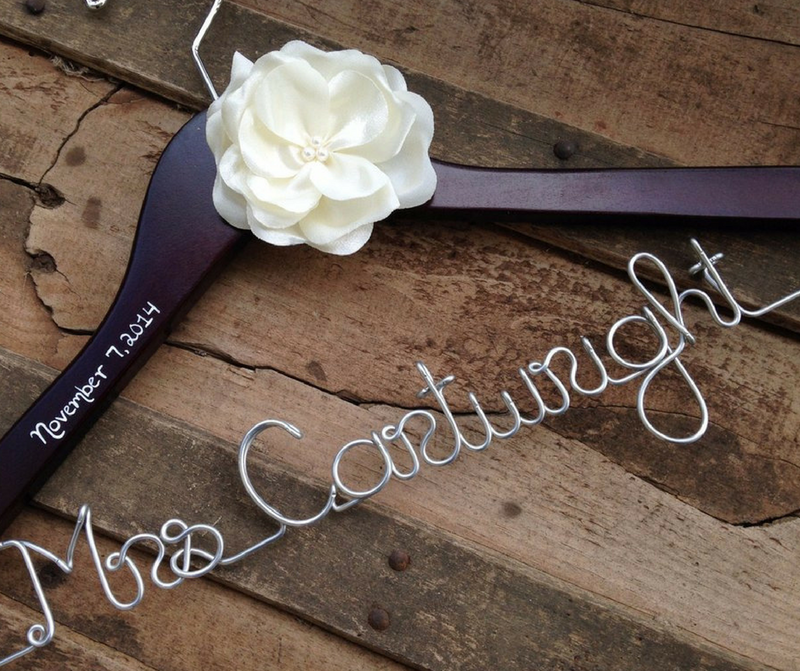 I'd have bought a custom bridal hanger. And I am sure there are so many brides out there who would agree. They're gorgeous, they make for the most stunning pre-wedding photos and they're the perfect keepsake for after your wedding day. Oh yeah, and they make some pretty perfect bridesmaid gifts if you as me. 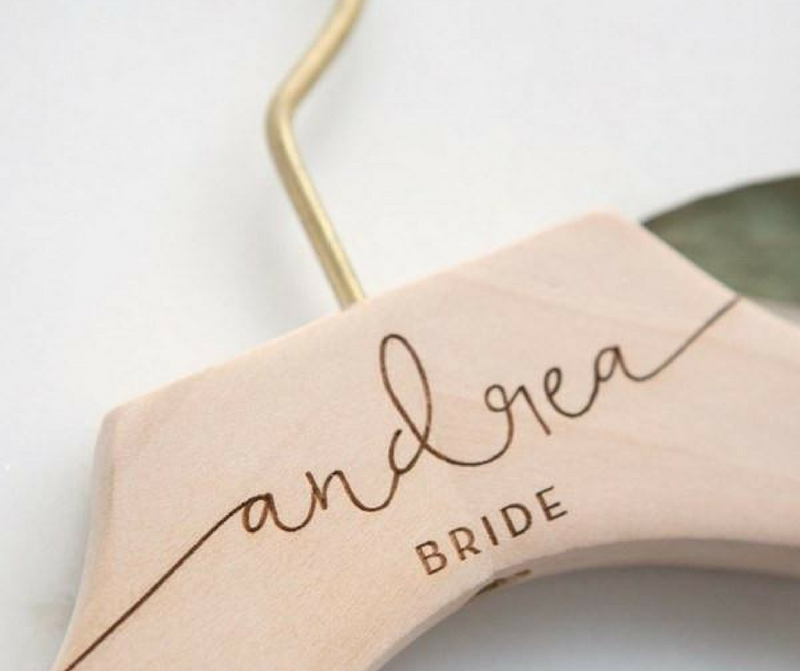 Lucky Maiden makes the most gorgeous bridal hangers -- they've got wooden engraved bridesmaid hangers, custom wire bride and bridesmaid hangers, engraved monogram wooden wedding day hangers and just some of the most gorgeous fonts and details. 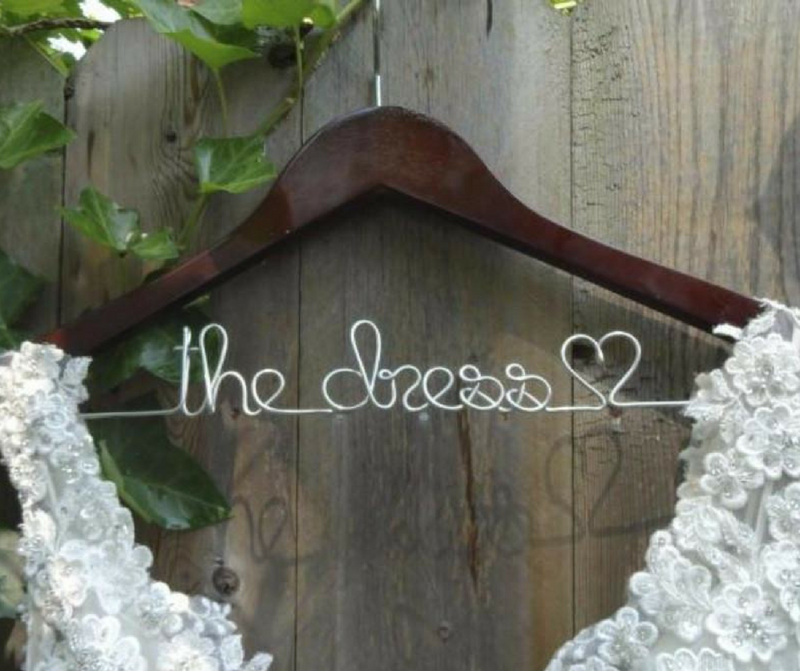 Click the button below to browse their gorgeous wedding hanger selection and to see all of the other fun wedding day ideas they've got in the shop! You're going to love what you find! These have got to be the most darling bridesmaid proposal gift boxes from Malibox Melodies that I've even seen. Ever. I mean, look at the boxes themselves -- they're pretty freakin' adorable, aren't they? So just wait until you see what's inside! Gahhh it's bridesmaid proposal perfection. If you're looking for a unique bridesmaid proposal and want something that's all put together for you, scroll on down to see all of the themed bridesmaid gift boxes they offer and click the button link below to shop the perfect boxes for your ladies! Let me guess, every single bestie you ask to stand by your site is going to say, "YES!" *Alcohol not included. Sticker for mini alcohol bottles is included.